For the province, see Santa Cruz de Tenerife (province). For other places named Santa Cruz, see Santa Cruz (disambiguation). From the top, left to right: Iglesia Matriz de la Concepción, Mercado Nuestra Señora de África, Puente Serrador, Torres de Santa Cruz, Panoramic city, Auditorio de Tenerife, Playa de Las Teresitas and Plaza de España. "La Capital Chicharrera", "La Capital Tinerfeña", "La Capital Santacrucera", "The Sydney of the Atlantic". 3 May 1494, founded as "Real de la Santa Cruz"
Santa Cruz de Tenerife (commonly abbreviated as Santa Cruz (/ˌsæntəˈkruːz/, Spanish: [santa ˈkɾuθ]) is a major city, capital of the island of Tenerife, Province of Santa Cruz de Tenerife, and capital (jointly with Las Palmas) of the Canary Islands. Santa Cruz has a population of 206,593 (2013) within its administrative limits. The urban zone of Santa Cruz extends beyond the city limits with a population of 507,306 and 538,000 within urban area. It is the second largest city in the Canary Islands and the main city on the island of Tenerife, with nearly half of the island's population living in or around it. Santa Cruz is located in the northeast quadrant of Tenerife, 210 kilometres (130 mi) off the northwestern coast of Africa within the Atlantic Ocean. The distance to the nearest point of mainland Spain is 1,300 kilometres (810 mi). Between the 1833 territorial division of Spain and 1927, Santa Cruz de Tenerife was the sole capital of the Canary Islands, until 1927 when a decree ordered that the capital of the Canary Islands be shared, as it remains at present. The port is of great importance and is the communications hub between Europe, Africa and Americas, with cruise ships arriving from many nations. The city is the focus for domestic and inter-island communications in the Canary Islands. The city is home to the Parliament of the Canary Islands, the Canarian Ministry of the Presidency (shared on a four-year cycle with Las Palmas), one half of the Ministries and Boards of the Canarian Government, (the other half being located in Gran Canaria), the Tenerife Provincial Courts and two courts of the Superior Court of Justice of the Canary Islands. There are several faculties of the La Laguna University in Santa Cruz, including the Fine Arts School and the Naval Sciences Faculty. Its harbour is one of Spain's busiest. It is important for commercial and passenger traffic as well as for being a major stopover for cruisers en route from Europe to the Caribbean. 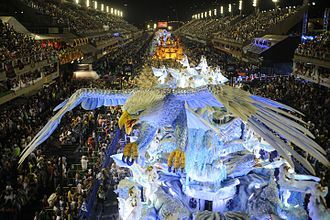 The city also has one of the world's largest carnivals. The Carnival of Santa Cruz de Tenerife now aspires to become a World Heritage Site, and is the second largest in the world. The main landmarks of the city include the Auditorio de Tenerife (Auditorium of Tenerife), the Santa Cruz Towers (Torres de Santa Cruz) and the Iglesia de la Concepción. Santa Cruz de Tenerife hosts the first headquarters of the Center UNESCO in the Canary Islands. In recent years the city of Santa Cruz de Tenerife has seen the construction of a significant number of modern structures and the city's skyline is the sixth in height across the country, behind Madrid, Benidorm, Barcelona, Valencia and Bilbao. In 2012, the British newspaper The Guardian included Santa Cruz de Tenerife in the list of the five best places in the world to live. The 82% of the municipal territory of Santa Cruz de Tenerife is considered a natural area, this is due in large part to the presence of the Anaga Rural Park. This fact makes Santa Cruz the third largest municipality in Spain with the highest percentage of natural territory, after Cuenca (87%) and Cáceres (83%). City has a status of global city (in Sufficiency category). 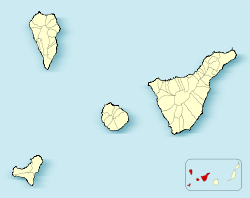 The area where Santa Cruz currently lies belonged to Menceyato Guanche Anaga, which was the most easterly of the island. The city that is now Santa Cruz had a few names throughout its history: Añazo or Añaza (Guanche name), Puerto de Santiago Santa Cruz de Tenerife, Santa Cruz de Santiago de Tenerife, and Santa Cruz de Tenerife (current), which means: "holy cross of Tenerife," in memory of the foundation of the city, when a Christian cross was planted in the place that is now the center of town. The area on which now stands the city and the municipality of Santa Cruz de Tenerife has been the subject of human occupation since the time of the Guanches, approximately 2000 years ago, as attested by the archaeological sites found. The area was known to the Guanches, the first inhabitants of the island, as Añazo. 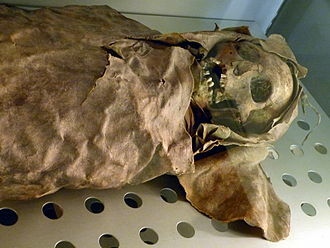 The famous Mummy of San Andrés is one of the most important archaeological remains of the aboriginal past of the region. Besides caves with some remains of mummified animals and stones with engravings ruprestres. This area belonged to the Menceyato de Anaga (aboriginal Guanche kingdom of Anaga), one of nine in which the island was divided. 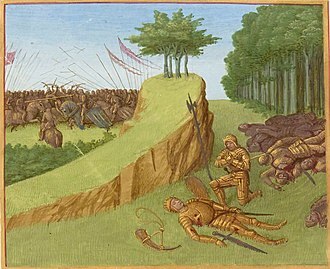 On 3 May 1494 Castilian troops under the control of the conqueror Alonso Fernández de Lugo disembarked on the beaches of the present city and founded a military camp that would eventually develop into the city. From this place began the conquest of the island of Tenerife. During the foundation, Alonso Fernández de Lugo placed a large wooden cross in reference to the day of disembarkation, during the Catholic festivity of the Invention of the Cross (May 3). After the conquest and defeat of the Guanche aborigines, the capital of the island was initially established in the city of San Cristóbal de La Laguna, which was founded in the same year of the conquest of the island in 1496. Later, it became one of the most important ports of the Atlantic and the Canary Islands, a status it retains to this day. This former fishermen's village rose to prominence after a Volcano destroyed the port of Garachico in the 18th century. Santa Cruz became the major port on the Island. It first won its independence from La Laguna and, in the 19th century, was awarded the status of Capital of the Province of Canary Islands by King Ferdinand VII. Santa Cruz is divided administratively into five districts, which in turn are subdivided into districts, not necessarily consistent with the traditional neighborhoods. In 1990, the population peaked above the 200,000 mark. Santa Cruz de Tenerife and the city of San Cristóbal de La Laguna form a continuous urban area, with a combined population of over 380,000 inhabitants. Ethnically, the population is mainly from the Spanish Peninsula, primarily from Málaga and Granada, with some mix of the island's original inhabitants, the Guanches. There has been some Latin American immigration (especially from Cuba and Venezuela) as well as from both Northern and Sub-Sahara Africa. There are also important historical minorities such as Indians (Sindhi), Koreans (see Koreans in Spain) and, more recently, Russians. The majority of the population professes the Catholic religion, but there are also small communities of Hindus and Muslims. In Santa Cruz de Tenerife, crime has decreased in recent years and the city has gained a reputation for tolerance among its inhabitants. In fact, Santa Cruz de Tenerife was the first city of the Canary Islands to display the rainbow flag alongside the flag of the City Council, in June 2008. In comparison with the nearby city of San Cristóbal de La Laguna, which is the seat of Bishopric of Tenerife, traditionally the city of Santa Cruz de Tenerife has had a much more secular character. This fact brought about in the city institutions of deep secular tradition such as the Masonic Temple of Santa Cruz de Tenerife that was one of the largest masonic centers in Spain. According to a study by the National Statistics Institute of Spain (INE), among the two Canarian capitals, Santa Cruz de Tenerife is the one with the highest life expectancy at 81 years. Just behind Santa Cruz is Las Palmas de Gran Canaria, with 80.9 years. The city as seen from San Andres' Industrial Estate, and in the background the Auditorio and the skyscrapers. The Santa Cruz de Tenerife-La Laguna Metropolitan Area forms the second largest city and metropolitan area of the European Union outside Europe. According to data provided by the Canary Islands Government and Cabildo de Tenerife the metropolitan area of Santa Cruz de Tenerife is composed of the municipalities of Santa Cruz de Tenerife, San Cristobal de La Laguna, El Rosario and Tegueste with a population of 404,913 inhabitants in 2008, 322.13 km2, and a population density of 1,156.33 inhabitants/km2. According to AUDES5 this conurbation also comprises the municipalities of Tacoronte and El Sauzal, bringing the total population of the urban population would reach 581.947 (2008). The cities of Santa Cruz and San Cristobal de La Laguna and urban are physically linked, so that together have a population of over 382,331 inhabitants, making them the largest urban area in the Canaries (independent of municipal lines). As the centre of the Tenerife Metropolitan Area, Santa Cruz is the hub for the island's motorway network. The 85 km. long Autopista TF-1 links the south of the island, including Playa de las Américas and other southern resorts and towns, with its capital. The motorway itself starts near the Auditorio and gives access to Santa Cruz and La Laguna by three different routes. Autopista TF-5 links Santa Cruz with the Puerto de la Cruz, La Orotava and the northern side of the island, passing right through La Laguna before entering Santa Cruz. The Santa Cruz harbour is one of the busiest in Spain; three quays host regular ferries, fast ferries, cruise ships and merchant ships. Tenerife North Airport, formerly Los Rodeos Airport, is adjacent to Autopista TF-5 on the western outskirts of the city. The mostly tourist Tenerife South Airport, formerly Reina Sofia Airport, ranks 7th in Spain and is located next to the Autopista TF-1, 75 km. south of Santa Cruz. There are plans to link this airport to the capital with a railway network. The Intercambiador public transport/mass transit terminal is in the Avenida 3 de Mayo, and is the hub for all TITSA bus lines, the new Tenerife Tram service, and is a major car-parking area. The first tram line (opened in 2007) line 1, starts at the Intercambiador, and ends at La Laguna's Avenida Trinidad, with a planned extension to Tenerife North Airport A second line between La Cuesta and Tíncer opened in 2009 (connecting with Line 1 at Hospital Universitario and El Cardonal). Main article Tenerife Tram. Cabo-Llanos (south of downtown) is the location of new expansion. This area is undergoing a major building boom which has been nicknamed "Manhattanization", where tall, modern buildings and street layouts imitate American cities. The economy of Santa Cruz relies mainly on services. Trade, tourism, import-export, the seaport and the presence of the major political and financial institutions, as well as the most important companies, guarantee a strong economic activity and development. The building sector is important, while industry, apart from the oil refinery and food processing, is relatively minor. Santa Cruz has regenerated many areas of the city and modernised its infrastructure, built brand new areas, malls, high buildings and some charismatic structures, such as Calatrava's Auditorio or the Congress Hall, César Manrique's Marina and the not-yet-completed Óscar Domínguez Museum of Modern Art and Culture (IODACC) and the new Plaza de España layout, both by Basel-based Pritzker Prize winner studio Herzog & de Meuron. Work to renew the man-made Las Teresitas Beach is ongoing under the direction of French architect Dominique Perrault. The city contains many pieces of sculpture, as well as the Exhibition of Outdoor Sculpture in Santa Cruz de Tenerife. Situated along the Ramblas and the Parque Garcia Sanabria, the exhibition contains works by artists such as Henry Moore, Andreu Alfaro, Martin Chirino, Joan Miró and Óscar Domínguez, among others. Santa Cruz has not been characterized by an intense night life, in contrast to the nearby university town of La Laguna. Nevertheless, there are several clubs and pubs spread across the city. The best known are in the Parque Marítimo César Manrique, 3 May Avenue and back, and in La Noria street Residencial Anaga. Moreover, in the area of Industrial Mayorazgo, three new clubs have opened. There are also pubs that have survived without belonging to a particular location for leisure, as the platform, near the Bullring, which opened its doors in 1991. It has recently gained importance as a leisure street Antonio Dominguez Alfonso (popularly known as Calle La Noria) and adjacent in the vicinity of the Church of the Conception. After several years of neglect, all the houses in this area has been recovered by the local hotel as tapas, light dinner and drinks. This street also hosts the headquarters of several murgas, music groups linked to Carnival, and independent organ of Events and Recreation. Popularly known as the Avenida de Anaga (as known to all roads adjacent to the port) is in his section of Avenida Francisco la Roche a classic dinner and drinks first. During the 90s was the nerve center of nightlife, the best known local focus of the city. Although many of them closed down because of licenses and noise, attempt to regain its glory today. To that end, the City will undertake various initiatives through 2009. In 2007, as decided by the City Council and managed by the Society for Development, is set in motion an ambitious plan for revitalization of the city under the brand name "Santa Cruz + Viva ', in accordance with Cabildo Insular de Tenerife and Government of the Canary Islands. 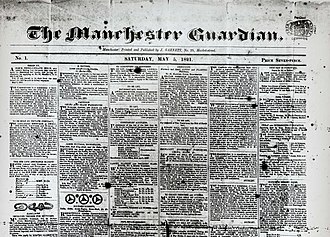 In Santa Cruz de Tenerife have drafted the three provincial newspapers (Diario de Avisos, La Opinión de Tenerife and El Día), as well as editors of newspapers regional La Gaceta de Canarias. Also located in the city the headquarters of various TV channels, most of which broadcast on the island: Spanish Television in the Canary Islands, Television Canaria, Antena 3 TV Canary Islands, Television Day, Canal 7 Atlantic, Channel 4 Tenerife, Channel 8, etc. Most radio stations are also located in the city. Radio Club Tenerife (Cadena SER), RNE, Teide Radio-Onda Cero, Radio Day, Radio ECCA etc.. In the city is the headquarters of the TV Canaria. Auditorio de Tenerife (Auditorium of Tenerife): Designed by Santiago Calatrava, the Auditorium of Tenerife was constructed in 2003. The building has an organic and famous structure in the shape of 'sails' with white blue rollers. The auditorium has a big room for concerts, a room for opera and other smaller rooms. 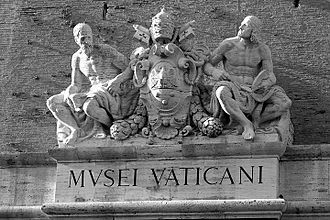 It is an emblem of the city and is one of the more photographed buildings. This building is in the Port of Santa Cruz de Tenerife close to the sea. It was inaugurated on 26 September 2003 with the presence of Felipe de Borbón, Prince of Asturias, and was also visited by former U.S. President Bill Clinton. The profile of the famous and majestic auditorium has become a symbol of the city of Santa Cruz de Tenerife. It is one of the main attractions of Tenerife and the Canary Islands. Torres de Santa Cruz (Towers of Santa Cruz): Twin towers finished in 2006 are the highest skyscrapers of the city and the Canary Islands, was the tallest residential building in Spain until 2010. The Torres de Santa Cruz are also the tallest twin towers in Spain. Plaza de España (Spain Square): is the largest square in the city of Santa Cruz de Tenerife and the Canary Islands. The square is located in the center of town, just meters north of the Auditorio de Tenerife. It is the heart of the city, stands the great artificial lake source or work of Swiss architects Herzog & de Meuron. Tenerife Espacio de las Artes (Tenerife Space of Arts – TEA): Building designed by the Swiss firm of architects Herzog & de Meuron and directed by the Canary architect Virgilio Gutierrez Herreros. The building houses the contemporary museum Óscar Domínguez Institute, the Alejandro Cioranescu Island Library and the Center for Photography Island of Tenerife. In addition, the property has a hall, a restaurant, a shop, a public plaza, offices. Parque García Sanabria: is a public urban park in the heart of Santa Cruz de Tenerife, it was inaugurated in 1926. It is a large garden area, combined with fountains and architectural groups. It is the largest urban park in the Canary Islands. It has an area of 67,230 m2 (723,658 sq ft). Centro Internacional de Ferias y Congresos de Tenerife (Tenerife International Centre for Trade Fairs and Congresses): The complex was designed by architect and engineer Santiago Calatrava is configured as a multipurpose building that can host major fairs, exhibitions and conferences that take place on the island of Tenerife. The Great Hall, located on the top floor, took a total of 12,000 square meters, making it the largest covered space in the Canary Islands. Playa de Las Teresitas: is a beach in the village of San Andrés municipality of Santa Cruz de Tenerife. It is one of the most important beaches of the Tenerife and the Canary Islands. 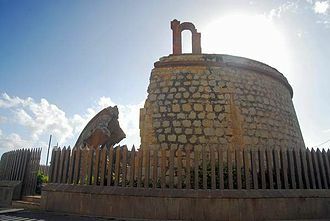 Museo de la Naturaleza y el Hombre (Museum of Nature and Man) is a museum of archeology and biology that has participated in international meetings on archeology, but his fame is mainly due to its formidable collection of Guanche mummies. For this reason, the Museum of Nature and Man is a world reference in regard to preservation of mummies. Masonic Temple of Santa Cruz de Tenerife: Is a masonic temple located in the on San Lucas street. It is considered the finest example of Masonic Temple in Spain. 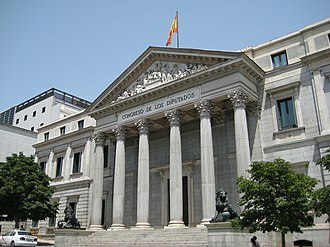 Similarly was even greater in Spain Masonic Center before it was occupied by Franco's military. Due to the strategic location of Tenerife on the route between the Mediterranean and the Americas, it was attacked a number of times by the English and the Dutch. In particular, Santa Cruz Bay was the scene of two notable naval engagements involving two of the most famous British admirals. In 1656, Admiral Robert Blake totally destroyed a Spanish silver fleet of 16 ships for the loss of none of his own, despite being under fire from shore batteries and attacking and withdrawing on the tide. 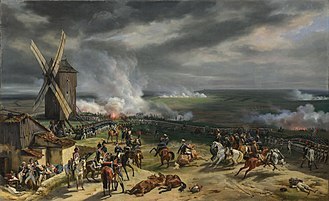 50 years later, the British under John Jennings were defeated when they attacked the island on 6 November 1706 during the War of the Spanish Succession. In 1797 Admiral Horatio Nelson met with bloody defeat in an attempt to storm the harbour. It was at this battle that Nelson lost his right arm having been hit before he had stepped off the ship's boat. It was on Santiago's day and that is the reason for having Santiago's sword cutting the lion's head as a symbol of the British defeat. The seal of Santa Cruz de Tenerife has the characteristic features of the Loyal, Noble, Invicta and very beneficial Town, Port and Plaza de Santa Cruz de Santiago de Tenerife. Curiously, it is not square or shield-shaped, but oval. In a blue background with anchors and castles have a green cross, the symbol of the Foundation Cross, which gave the city its name. Behind the cross is a sword of Santiago in red, reminiscent of the day in which the city of Santiago defeated Horatio Nelson. Under this sword are three lion heads facing right (the shield), which symbolizes the victories of the city over Nelson's English privateers, Blake and Jennings. It has castles, anchors and an island of silver. Also holds the Medal of Charity and the Crown. The crown of laurel and olive trees surrounding the shield is the symbol of victory for the city to each and every one of the attacks. The flag of Santa Cruz de Tenerife is all white with the municipal shield in the center. 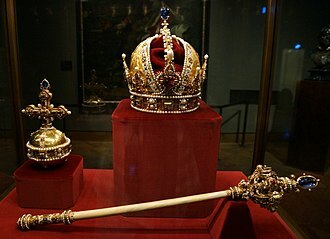 Granted by Royal Warrant of King Charles IV of 28 August 1803. On a white cloth, coat of arms of the city. The white, the characteristic of the Bourbon dynasty, refers to fidelity to the city of Santa Cruz de Tenerife in the Royal House of Spain. The Port of Santa Cruz de Tenerife is a fishing port, commercial, passenger and sports from the city of Santa Cruz de Tenerife, capital of the island, located in the Atlantic Ocean. It is managed by the Port Authority of Santa Cruz de Tenerife. It is the first fishing port in the Canary Islands with approximately 7,500 tons of fish caught, according to the Statistical Yearbook of the State Ports 2006 (the latest of which is changing). Following this report is the largest port number of passengers recorded. Santa Cruz has a tropical semi-arid climate (Köppen climate classification BSh)., with less precipitation in the summer than in the winter. Its average annual temperature is 25 °C (77 °F) during the day and 18 °C (64 °F) at night. In the coolest month – January, the typical day temperature ranges from 19–23 °C (66–73 °F), to around 15–16 °C (59–61 °F) at night, the average sea temperature is 20 °C (68 °F). In the warmest month, August, the typical day temperature ranges from 26–32 °C (79–90 °F), to above 21 °C (70 °F) at night, whilst the average sea temperature is 23–24 °C (73–75 °F). Sunshine hours average at 2,887 per year, from 168 in December and to 337 in July and August. Precipitation per year is only 226 millimetres (8.9 in), concentrated heavily between November and March: May to September are normally mostly dry. Precipitation patterns closely resemble those of the Mediterranean climates found in mainland Spain and up the hill in La Laguna, but generally with less precipitation during winter months. During the Carnival of Santa Cruz de Tenerife, thousands of people take to the streets each year for over a week. On 18 January 1980 it was declared a Fiesta of International Tourist Interest by the Secretary of State for Tourism, and is one of the world's largest carnivals. At present, the Carnival of Santa Cruz hopes to become a World Heritage Site. Per Adriano, (1993), sculpture by Igor Mitoraj in front of Guimerá Theatre. Santa Cruz is popular for its wide commercial offerings, including zona Centro (Central part) – Pedestrian calle Castillo, San José, del Pilar, Viera y Clavijo Zona Rambla (Rambla area) or Rambla de Pulido, calle Ramón y Cajal, and the big shopping centres and department stores in Avenida de 3 Mayo, plus the big malls in Añaza on the southern suburbs. The most upmarket and high street shopping is located along Calle del Pilar and nearby Parque Bulevar Shopping Centre, where many designer shops can be found. International and local brands of shops and restaurants, such as Zara, Mango, H&M, El Corte Inglés, IKEA, C&A, McDonald's and Burger King are much present on the island. Not only the wide range of shops makes the city attractive but the lower prices found in many items, such as tobacco, alcohol, electronic devices, beauty products, sunglasses or even food or coffee. They are indeed much lower than in most cities of Western Europe including Spain, due to the very special and much lighter taxation on goods enjoyed on the Canary Islands. Estadio Heliodoro Rodríguez López, the stadium of CD Tenerife. CD Tenerife: Founded in 1912, it currently plays in Segunda División, holding home matches at the Estadio Heliodoro Rodríguez López, with a 21,732-seat capacity. Honours: In 1991, Argentine Jorge Valdano took charge of the club as manager, and would help rob former side Real Madrid of two consecutive league titles in the last round, to the benefit of FC Barcelona; in the first season, the Canary Islands outfit barely avoided relegation, but would finish in a best-ever fifth position in the following year, eventually reaching the round of 16 in the subsequent UEFA Cup, losing to Juventus 2–4 on aggregate. CF Tenerife has finished in fifth position in La Liga on two occasions, in 1992–93 and 1995–96. It is the only Canary team that has played a European competition. CV Tenerife: Volleyball is one of the island's most successful sports, particularly in women's volleyball where CV Tenerife were European champions and participate in the Spanish Super League. Two other teams are the women's CV Aguere 2009/2010 Super League champions and the men's Arona Playa de las Américas which competes in the Spanish Super League. There is a growing interest in this sport in Tenerife. Isla Tenerife Canarias: is a professional basketball team based in San Cristóbal de La Laguna, Tenerife, Canary Islands, and plays in the Pabellón Insular Santiago Martín, in Liga ACB league. 27 January anniversary of the appointment of Santa Cruz de Tenerife of the Canary Islands as the capital. February, Carnival of Santa Cruz de Tenerife (of International Tourist Interest). May 3, May festivities. Día de la Cruz (Day of the City of Santa Cruz de Tenerife). 25 July, the day of Saint James the Great (patron saint of Santa Cruz de Tenerife) and defeat of Admiral Nelson. This festival is part of the acts of the Recreation Gesta July 25. Maria Rozman (1971–), news director of Telemundo Washington, D.C. and Telemundo Denver and Univisión Denver. In the 2016 film, the opening part of the movie "Jason Bourne" was filmed in this city. To do this, the city of Santa Cruz de Tenerife was especially set to simulate the Greek cities of Athens and Piraeus. The Plaza de España which is the main square of city of Santa Cruz, was set to represent Syntagma Square. ^ Eurostat. "Population and living conditions in Urban Audit cities, larger urban zone (LUZ)". ^ "Turismo Tenerife: Alojamiento, Carnaval, Actividades... – Tenerife". Archived from the original on 4 February 2010. Retrieved 25 May 2015. ^ "Spain Skyscraper Diagram". Skyscraperpage.com. Retrieved 2011-04-13. ^ "Santa Cruz de Tenerife, uno de los cinco mejores sitios del mundo para vivir, según "The Guardian"". ABC.es. Retrieved 25 May 2015. 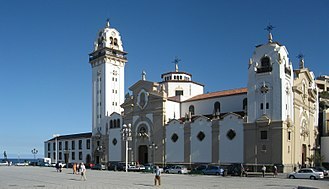 ^ "El por qué de Santa Cruz de Santiago de Tenerife Santa Cruz de Tenerife – Portal turismo y ocio de Santa Cruz de Tenerife Islas Canarias – SANTACRUZ MAS +++++++++". Retrieved 25 May 2015. ^ a b "La conquista de Tenerife : 1494-1496 :: Memoria Digital de Canarias - Textos". mdc.ulpgc.es. Retrieved 2018-01-24. ^ a b "Dos ciudades, una Isla y un millón de opciones" (PDF). Archived from the original (PDF) on 16 July 2011. Retrieved 2011-04-13. ^ "Santa Cruz celebra que los LGTB "pueden amar sin ser condenados a pena de muerte"". Ecodiario.eleconomista.es. 28 June 2008. Retrieved 2011-04-13. 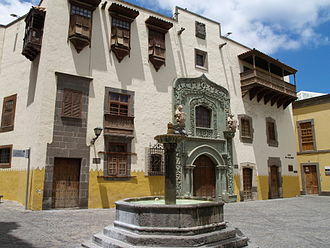 ^ Cabildo de Tenerife. "Estudio del área metropolitana" (in Spanish). Archived from the original on 1 July 2010. ^ AUDES5. "Población de las areas metropolitanas" (in Spanish). Archived from the original on 22 August 2011. ^ "La sala de máquinas del nuevo Santa Cruz". Eldia.es. Retrieved 2011-04-13. ^ "AUDITORIO DE TENERIFE "ADáN MARTíN" – Centros de congresos – Página oficial de Turismo de Tenerife". Webtenerife.com. Retrieved 2011-04-13. ^ "Santa Cruz de Tenerife – Portal turismo y ocio de Santa Cruz de Tenerife Islas Canarias – SANTACRUZ MAS +++++++++". Retrieved 25 May 2015. ^ Espacios culturales Auditorio de Tenerife. "Cultural sites in Santa Cruz de Tenerife (in Spanish)". Stacruz.es. Retrieved 2011-04-13. ^ "Masonería en Canarias - Masoneria Regular". www.masoneria.org. ^ "El templo masónico, bien de interés cultural". 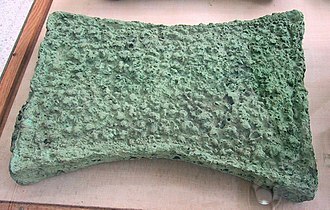 17 October 2002. ^ "Weather2Travel.com: Santa Cruz Climate Guide". ^ "World Meteorological Organization: Weather Information for Santa Cruz". ^ "Valores Climatológicos Normales. Santa Cruz De Tenerife". ^ "Valores Climatológicos Extremos. Santa Cruz De Tenerife". Retrieved 1 February 2015. ^ "Santa Cruz de Tenerife, Spain Travel Weather Averages (Weatherbase)". Weatherbase. Retrieved 25 May 2015. ^ a b "Santa Cruz de Tenerife, Spain - Climate data". Weather Atlas. Retrieved 16 March 2017. 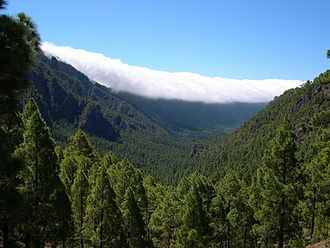 ^ "Santa Cruz de Tenerife Climate". seatemperature.org. Retrieved 16 March 2017. ^ "Deutsche Schule Santa Cruz de Tenerife[permanent dead link]." ZfA. Retrieved on 13 February 2016. "Deutsche Schule - Colegio Alemán Calle Drago, 1 38190 Tabaiba Alta (El Rosario) Spanien"
^ "Address." Svenska Skolan Teneriffa. Retrieved on 13 February 2016. "Address Colegio Sueco Calle Coronel 8, local 9 Los Cristianos 38650 Arona Tenerife, Espana"
^ "Find Us Archived 17 February 2016 at the Wayback Machine." British School of Tenerife. Retrieved on 13 February 2016. "La Luz Carretera de La Luz S/N; 38300 La Orotava" and "TRINITY Camino Montijo, 16; 38410 Los Realejos" and "YEOWARD C/ Irlanda, 1; Parque Taoro; 38400 Puerto de la Cruz"
^ "Home page." Wingate School. Retrieved on 13 February 2016. "Mirador de la Cumbrita, 10, Cabo Blanco, Arona, Tenerife, 38626"
^ "The International Affairs Department (IAD)". Sanantonio.gov. Retrieved 2011-04-13. ^ "Villes jumelées avec la Ville de Nice" (in French). Ville de Nice. Archived from the original on 29 October 2012. Retrieved 2013-06-24. ^ 20Minutos. "El rodaje de 'Bourne 5' convierte a la ciudad de Santa Cruz de Tenerife en Atenas". Wikimedia Commons has media related to Santa Cruz de Tenerife. "Santa Cruz de Tenerife" . Encyclopædia Britannica (11th ed.). 1911. "Santa Cruz de Tenerife" . New International Encyclopedia. 1905. Province of Santa Cruz de Tenerife Province of Santa Cruz is a province of Spain, consisting of the western part of the autonomous community of the Canary Islands. It consists of half of the Atlantic archipelago, the islands of Tenerife, La Gomera, El Hierro. It occupies an area of 3,381 km² and its capital is the city of Santa Cruz de Tenerife, on the island of Tenerife. In 2008 the province had 1,005,936 inhabitants, Santa Cruz de Tenerife is the capital of the Autonomous Community of the Canary Islands. There are 54 municipalities in the province, see List of municipalities in Santa Cruz de Tenerife, Tenerife is the most populated island in the province of the Canary Islands and most populous island of Spain. 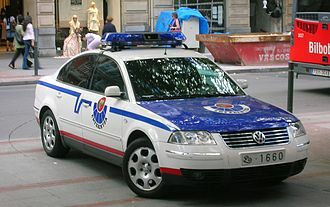 The island of Tenerife has the highest altitude of Spain, earlier issued vehicle license plates in this province bear the first two letters TF. Nowadays the plates share the same numbering system as in mainland Spain and this province was established in 1927, when the Canarias province was divided into two provinces, Las Palmas and the province of Santa Cruz de Tenerife. 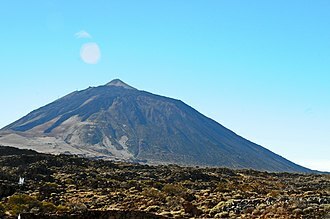 Mount Teide, is a volcano on Tenerife in the Canary Islands, the park has an area of 18,900 hectares and was named a World Heritage Site by UNESCO on 29 June 2007. Auditorio de Tenerife, Was designed by architect Santiago Calatrava Valls, the auditorium was inaugurated on 26 September of that year with the presence of Felipe de Borbón, Prince of Asturias, and was visited by former U. S. President Bill Clinton. The building is framed within the tenets of late-modern architecture of the late 20th century, the majestic profile of the auditorium has become an architectural symbol of the city of Santa Cruz de Tenerife. It is regarded as the finest modern building in the Canary Islands, San Cristóbal de La Laguna, Is third-most populous city of the archipelago and second-most populous city of the island. Its economy is business-oriented while agriculture dominates the northeastern portion of the city, the urban area dominates the central and the southern parts. The main industry includes some manufacturing, La Laguna historical center was declared World Heritage Site by the UNESCO in 1999. A cross is a geometrical figure consisting of two intersecting lines or bars, usually perpendicular to each other. The lines usually run vertically and horizontally, a cross of oblique lines, in the shape of the Latin letter X, is termed a saltire in heraldic terminology. The word [[wikt, cross|crossded from Old Irish, possibly via Old Norse, ultimately from the Latin crux, the English verb to cross arises from the noun c. 1200, first in the sense to make the sign of the cross, the Latin word was, influenced by popular etymology by a native Germanic word reconstructed as*krukjo. This word, by conflation with Latin crux, gave rise to Old French crocier, Latin crux referred to the gibbet where criminals were executed, a stake or pole, but not necessarily to intersecting or cruciform beams. 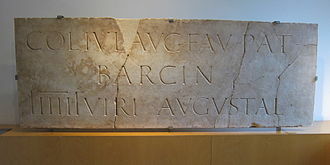 The Latin word derived from the verb crucio to torture, Latin crux originally referred to the tree or stake on which criminals were crucified in the pre-imperial period. 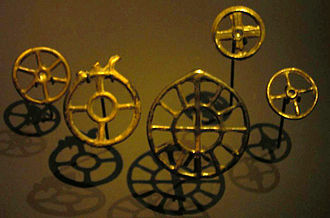 This was specified as crux acuta or crux simplex, the method of execution may have been adopted from the Phoenicians. The addition of a bar, to which the criminal would be fastened with nails or cords. The Latin name of the cross is crux decussata, the heraldic term saltire is introduced only towards the end of the medieval period. The Greek equivalent of Latin crux stake, gibbet is σταυρός stauros stake, the letter Tau was associated with the stauros or crux, while the notion of cruciform shapes, i. e. intersecting lines, were associated with the letter Chi. 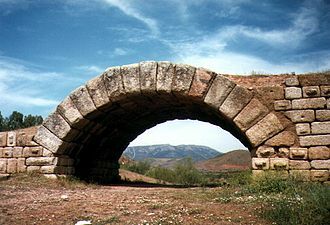 The Greek term for crossing was χίασμα chiasma, from a verb χιάζω chiázō to shape like the letter Chi, Latin had the comparable decussatus shaped like the numeral ten. Also of prehistoric age are numerous variants of the cross mark, including the crux gammata with curving or angular lines. 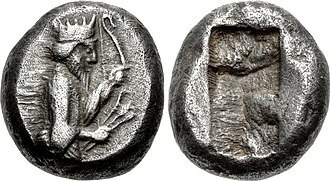 Speculation of this kind became popular in the mid- to late-19th century in the context of comparative mythology seeking to tie Christian mythology to ancient cosmological myths. Influential works in this vein included G. de Mortillet, L. Müller, W. W. Blake, Ansault, in the European Bronze Age the cross symbol appeared to carry a religious meaning, perhaps as a symbol of consecration, especially pertaining to burial. Tenerife is the largest and most populated island of the seven Canary Islands. It is the most populated island of Spain, with an area of 2,034.38 square kilometres and 898,680 inhabitants,43 percent of the total population of the Canary Islands. Tenerife is the largest and most populous island of Macaronesia, about five million tourists visit Tenerife each year, the most of any of the Canary Islands. It is one of the most important tourist destinations in Spain, Tenerife hosts one of the worlds largest carnivals and the Carnival of Santa Cruz de Tenerife is working to be designated as a UNESCO World Heritage Site. Served by two airports, Tenerife North Airport and Tenerife South Airport, Tenerife is the centre of the archipelago. The 1977 collision of two Boeing 747 passenger jets at Tenerife North Airport, resulting in 583 deaths, remains the deadliest aviation accident in world history, Santa Cruz de Tenerife is the capital of the island and the seat of the island council. The city is capital of the community of Canary Islands, sharing governmental institutions such as Presidency. Between the 1833 territorial division of Spain and 1927, Santa Cruz de Tenerife was the capital of the Canary Islands. In 1927 the Crown ordered that the capital of the Canary Islands be shared, Santa Cruz contains the modern Auditorio de Tenerife, the architectural symbol of the Canary Islands. The island is home to the University of La Laguna, founded in 1792 in San Cristóbal de La Laguna, a UNESCO World Heritage Site, the city is the second to have been founded on the island, and is the third of the archipelago. The city of La Laguna was capital of the Canary Islands before Santa Cruz replaced it in 1833, located on the island, Macizo de Anaga since 2015 has been designated as a UNESCO Biosphere Reserve. It has the largest number of species in Europe. The islands indigenous people, the Guanches, referred to the island as Achinet or Chenet in their language. According to Pliny the Younger, Berber king Juba II sent an expedition to the Canary Islands and Madeira, he named the Canary Islands for the particularly ferocious dogs on the island. Las Palmas, officially Las Palmas de Gran Canaria, is a city and capital of Gran Canaria island, in the Canary Islands, off the northwestern coast of Africa. It is the co-capital, the most populous city in the community of the Canary Islands. It is the fifth most populous area in Spain. Las Palmas is located in the part of the island of Gran Canaria. It enjoys a mild and pleasant semi-arid climate highly influenced by the Atlantic. According to a study carried out by Thomas Whitmore, director of research on climatology at Syracuse University in the U. S, Las Palmas enjoys the best climate in the world. The city was founded in 1478, and considered the de facto capital of the Canary Islands until the seventeenth century. It is the home of the Canarian Ministry of Presidency, as well as half of the Ministries and Boards of the Canarian Government, and it is the judicial and commercial capital of the Canary Islands, and is home to a large part of the executive power. The city was founded by Juan Rejón on 24 June 1478, Rejón was head of the invading Castilian army, which engaged in war with the locals. The Auditorio de Tenerife Adán Martín, was designed by architect Santiago Calatrava Valls. It is located on the Avenue of the Constitution in the Canarian capital, Santa Cruz de Tenerife, construction began in 1997 and was completed in 2003. The auditorium was inaugurated on 26 September of that year with the presence of Felipe de Borbón, Prince of Asturias, the building is framed within the tenets of late-modern architecture of the late 20th century. The majestic profile of the auditorium has become a symbol of the city of Santa Cruz de Tenerife, the island of Tenerife. It is regarded as the finest modern building in the Canary Islands, in March 2008, it was included by the post office in a set of six stamps depicting the most emblematic works of Spanish architecture. In 2011, the image of the Tenerife Auditorium was included in a series of coins of 5 euros. It is one of the attractions of Tenerife and home to the Orquesta Sinfónica de Tenerife. As early as 1970, there was agreement that the creation of an auditorium for the islands should proceed, the location in the El Ramonal was approved in 1977. In 1978 design proposals were solicited for consideration, the project agreed to appoint the architect Antonio Fernández Alba. Later, in 1985, the location of the auditorium was moved to El Chapatal, in 1987, the final design of Antonio Fernández Alba, with collaboration of Vicente Saavedra and Javier Díaz Llanos are unveiled. However soon after, there is a conceptual shift about the type of building, in 1989, the government enters into discussion with the architect Santiago Calatrava Valls, who becomes the project architect. In 1991, Calatrava publicly presented his design, at the time the building was to be located at the end of Avenida Tres de Mayo. 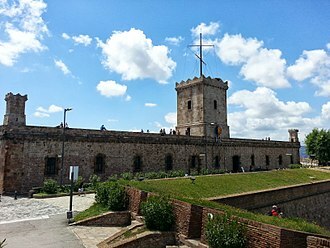 In 1992 the government created the Commission for Supervision and Control for the construction of the auditorium, in 1996, the Commission changed the location to the Castillo de San Juan Bautista, located by the sea. Groundbreaking and construction began in 1997, twenty years after the initial approval. During 2001 the 17 larger metal panels form the exterior were installed. Its urban area extends beyond the administrative city limits with a population of around 1. 5–1.6 million people. Valencia is Spains third largest metropolitan area, with a population ranging from 1.7 to 2.5 million, the Port of Valencia is the 5th busiest container port in Europe and the busiest container port on the Mediterranean Sea. 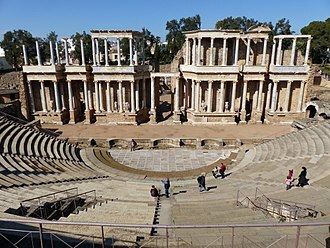 The city is ranked at Gamma in the Globalization and World Cities Research Network, Valencia was founded as a Roman colony by the consul Decimus Junius Brutus Callaicus in 138 BC, and called Valentia Edetanorum. In 1238 the Christian king James I of Aragon reconquered the city and divided the land among the nobles who helped him conquer it and he created a new law for the city, the Furs of Valencia, which were extended to the rest of the Kingdom of Valencia. In the 18th century Philip V of Spain abolished the privileges as punishment to the kingdom of Valencia for aligning with the Habsburg side in the War of the Spanish Succession, Valencia was the capital of Spain when Joseph Bonaparte moved the Court there in the summer of 1812. It served as capital between 1936 and 1937, during the Second Spanish Republic, the city is situated on the banks of the Turia, on the east coast of the Iberian Peninsula, fronting the Gulf of Valencia on the Mediterranean Sea. Valencia is integrated into an area on the Costa del Azahar. Valencias main festival is the Falles, the traditional Spanish dish, originated in Valencia. 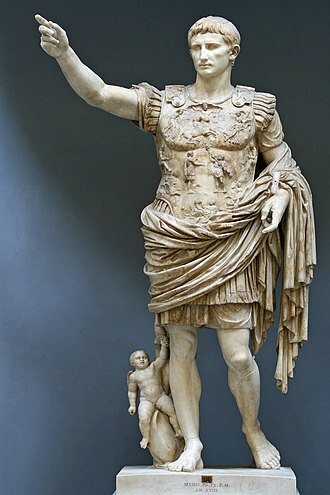 The original Latin name of the city was Valentia, meaning strength, or valour, the Roman historian Livy explains that the founding of Valentia in the 2nd century BC was due to the settling of the Roman soldiers who fought against an Iberian rebel, Viriatus. It is not clear if the term Balansiyya was reserved for the entire Taifa of Valencia or designated the city, by gradual sound changes, Valentia /waˈlentia/ has become Valencia or in Castilian and València in Valencian. In Valencian, the grave accent <è> /ɛ/ contrasts with the acute accent <é> /e/—but the word València is an exception to this rule and it is spelled according to Catalan etymology, though its pronunciation is closer to Vulgar Latin. The 1833 territorial division of Spain divided Spain into provinces, classified into historic regions. A royal decree of 20 November 1833 ratified a plan put forth by Javier de Burgos, secretary of state for development, Javier de Burgos 1833 provincial division included 49 provinces. The same decree that created the provincial division grouped the provinces into historic regions, these were merely honorary and classificatory, there was no level of administration between the central government and the provinces. These historic regions had no powers, no administrative organs, no jurisdiction over the provinces grouped within them. Each province had an appointed by the central government. 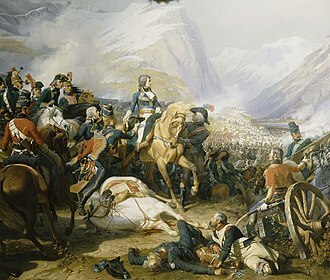 Besides looking to the 1822 arrangement, Javier de Burgos took as his model the departments of France, the most important of these that were retained were the Rincón de Ademuz and the Treviño enclave, another notable exclave is Llívia. The provincial division consolidated rapidly and remains with few changes down to the present day. This is in part because the provincial capitals all became the seats of government institutions. The jefes políticos would eventually be replaced by civil governors, the provincial division was followed by all branches of government and formed the basis for all future divisions and combinations. 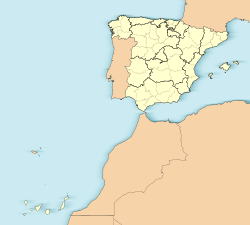 Each of Spains municipalities falls within a single province, in 1834, Spain was divided into legal districts, these took provincial borders into account. These legal districts became the basis of electoral districts and tax districts, civil health districts followed provincial lines. By 1868 there were 463 legal districts, the number of municipalities has repeatedly risen and fallen, navarre was still a semi-autonomous kingdom with its own parliament and government—the Cortes and Diputación—while Álava and Biscay, were autonomous. News of the governments decision overruling native institutions spread to the Basque districts, sparking uproar. The new design thus notably paved the way to the outbreak of the First Carlist War, while Jorge de Burgos design of provincial Spain suppressed enclaves, it did keep the ones located in Basque territories—Trucios in Biscay, and Treviño in Álava. The municipalities of Spain are the basic level of Spanish local government. There are a total of 8,118 municipalities in Spain, including the cities of Ceuta. In the Principality of Asturias, municipalities are officially named concejos, the area of the municipal territory usually ranges 2–40 km², but municipalities such as Tremp cover more than 300 km². The organisation of the municipalities is governed by a 2 April 1985 law, the Statutes of Autonomy of the various autonomous communities contain provisions concerning the relations between the municipalities and the autonomous governments. In general, municipalities enjoy a degree of autonomy in their local affairs, many of the functions of the comarcas. Each municipality is a corporation with independent legal personality, its body is called the ayuntamiento. The ayuntamiento is composed of the mayor, the deputy mayors, the mayor and the deputy mayors are elected by the plenary assembly, which is itself elected by universal suffrage on a list system every four years. The Carnival of Santa Cruz de Tenerife is held each February in Santa Cruz de Tenerife, the capital of the largest of the Canary Islands, and attracts people from all over the world. It is considered the second most popular and internationally known carnival, partially for this reason, the city of Santa Cruz de Tenerife is twinned with the city of Rio de Janeiro. In 1980, it was declared a Tourist Festival of International Interest by the Secretary of State for Tourism. The Carnival of Santa Cruz de Tenerife aspires to become a World Heritage Site, the party continues night after night until Ash Wednesday. That day, people of Santa Cruz de Tenerife celebrate the entierro de la sardina, the party starts up again the following weekend, known as the weekend of the piñata. The festival has two parts, the official Carnival, and the Carnival on the street, the official carnival has more than a hundred groups, including murgas, comparsas and other musical groups. The street carnival is more organized, and comprises the people celebrating on the streets. Thousands of people each day to the streets to participate. The Carnival of Santa Cruz de Tenerife has been celebrated since the time of the earliest European settlement, in 1605 Gaspar Luis Hidalgo alluded to the habit of reversing the sexes in dress. Early written references date from the end of the 18th century, the journal of Lope Antonio de la Guerra Peña in 1778 includes a dance held in Santa Cruz de Tenerife, where he talked about comparsas. In 1783, the Corregidor reported the use of masks being banned by royal instructions, in practice the ban was not carried out, and a carnival feature was the mixing of the masked upper class with the common people. During the dictatorships of Miguel Primo de Rivera, and General Franco, despite the ban, the festival continued to take place in Santa Cruz de Tenerife and Cádiz, Spain. In 1954 with Los Bigotudos performed the first murga, since 1962, a poster for each year of the Carnival has been created. For the 2009 Carnival, it was proposed that an open competition take place for participants to design the poster for that year. Tenerife Auditorium and Torres de Santa Cruz seen from the sea. Carnival Poster 1976 on a tile located on Constitution Avenue (Santa Cruz de Tenerife). Carnival Poster 1992 on a tile located on Constitution Avenue (Santa Cruz de Tenerife). The singer Celia Cruz was always a great promoter of the Carnival of Santa Cruz de Tenerife. In 2004 was declared by the city as "Queen of Honor of Carnival of Santa Cruz de Tenerife". Clockwise from top: Dracaena draco, Roques de Anaga, Teide National Park, Traditional Canarian house and Auditorio de Tenerife. 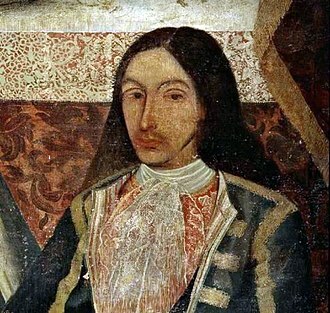 Amaro Pargo (1678-1741), corsair and merchant from Tenerife who participated in the Spanish treasure fleet (the Spanish-American trade route). Don Cristóbal Bencomo y Rodríguez. Confessor of King Ferdinand VII of Spain and Titular Archbishop of Heraclea. He was the great promoter of the creation of the Literary University of San Fernando (forerunner of the University of La Laguna) and the Diocese of San Cristobal de La Laguna. Cuenca Cathedra (built from 1182 to 1270), located in the city of Cuenca. Anaga's mountainous zone is a place of some Canary legends.